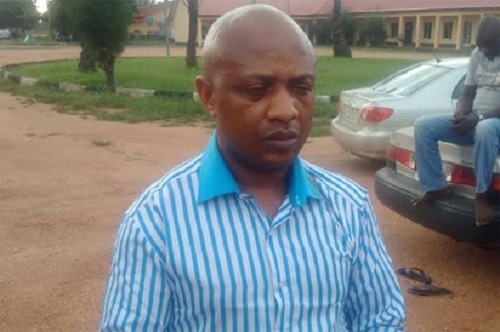 The Federal High Court in Lagos has picked July 13 for hearing in a N300m fundamental rights enforcement suit filed by suspected kidnap kingpin, Evans, against the Inspector-General of Police. Suspected kidnap kingpin, Chukwudumeme Onwuamadike a.k.a. Evans, through his lawyer, Olukoya Ogungbeje, filed a suit last week urging the court to order the police to charge him to court or release him immediately. The Federal High Court in Lagos has fixed July 13 for hearing in the N300m fundamental rights enforcement suit. In the suit, Evans is seeking a court’s order directing the respondents to immediately charge him to court if there is any case against him in accordance with sections 35 (1) (c) (3) (4) (5) (a) (b) and 36 of the constitution. He is, in the alternative, seeking an order compelling the respondents to immediately release him unconditionally in the absence of any offence that will warrant his being charged to court.